Production has begun on DC Super Hero Girls, an all-new animated action-comedy series from Warner Bros. Animation and based on characters from DC Entertainment. Featuring fresh character designs and storytelling from Emmy Award–winning producer Lauren Faust (Super Best Friends Forever, My Little Pony: Friendship Is Magic, Foster’s Home for Imaginary Friends), DC Super Hero Girls will be coming to Cartoon Network in 2018. The world may know them as Wonder Woman, Supergirl and Batgirl, but not-so-typical teenagers Diana, Kara and Barbara, alongside their Super Hero friends have much more to deal with than just protecting the citizens of Metropolis from some of the most sinister school-aged Super-Villains of the DC Universe. After all, being teens is tough enough, what with school, friends, family and the chaos that comes with managing a social life. But add super-powers and a secret identity to the mix, and things can get a lot more complicated. 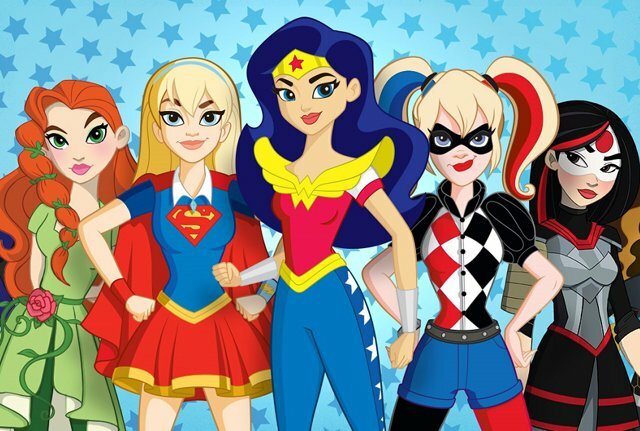 In partnership with Warner Bros. Consumer Products and DC Entertainment, the DC Super Hero Girls franchise provides kids with a relatable world filled with aspirational characters, immersive stories and action-packed missions that inspire viewers to be smart, courageous and empowered to be an everyday Super Hero. Centered around the most renowned DC Super Heroes (Supergirl, Batgirl, Wonder Woman, Bumblebee) and Super-Villains (Harley Quinn, Catwoman, Poison Ivy) as they learn to develop and harness their superpowers, work as a team and strengthen their friendships, while still getting their homework done on time.